For several years I've made occasional posts to an Amazon.com blog associated with my author page for the 35 or so computer-related books I've written in the past 15 years. Amazon notified me a short time ago that as of 8/15/2010, I'll no longer be able to use the Create a New Post button to add articles to it. 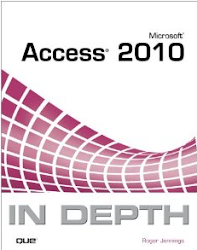 Amazon will continue to let authors add an RSS feed to another blog, so I've started this blog to support my forthcoming Microsoft Access 2010 In Depth book for QUE Publishing. Once I've added a few posts, I’ll connect this blog's feed to my Amazon author's page. I'll also copy a few earlier posts of significance from the Amazon blog to this one. Stay tuned. If you're interested in Windows Azure, SQL Azure or cloud computing in general, you might want to visit my OakLeaf Systems blog, which I update at least twice per week.